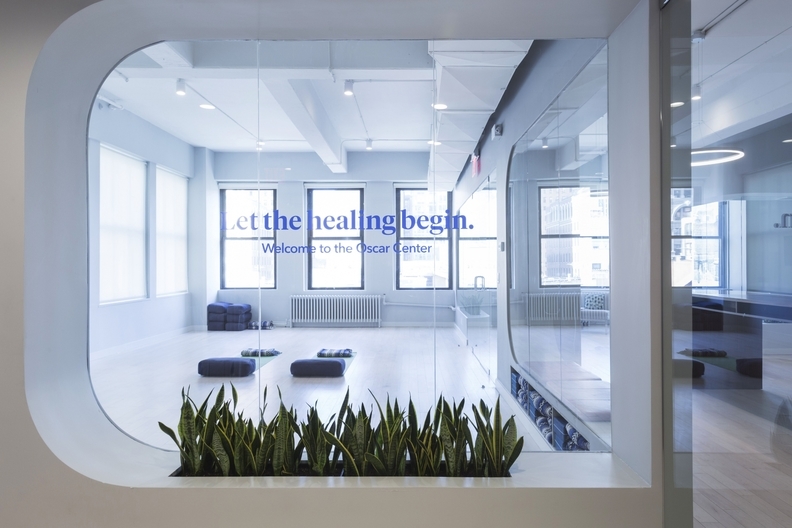 Oscar Health, the 5-year-old tech-focused darling of the insurance industry, is starting to see a payoff from its refined approach to structuring its insurance networks. It still hasn't turned a profit, but its 2018 membership growth is off the charts, more than doubling over 2017. That growth wasn't unexpectedâNew York-based Oscar announced previously that is was expanding its individual market footprint this year to cities in six states from three in 2017. As other insurance companies retreated from the Affordable Care Act exchanges, fearing financial losses and uncertainty in the market's future, Oscar swooped in to snap up market share, pairing up with well-known hospital systems along the way. Its individual membership has surged to 252,500 this year from about 100,000 in 2017. About two-thirds of its individual members enrolled through the exchanges, the company said. Meanwhile, Oscar is also growing its footprint in the small group market. Oscar, backed by more than $700 million in venture funding, characterizes itself as a consumer-facing insurance company, focused on technology and virtual care, that patients actually want to interact with. The key ingredient to its model is a narrow network with a major brand-name hospital systemâlike Cleveland Clinic in Ohio, Tenet Healthcare Corp. in Dallas, and Mount Sinai Health System and Montefiore Health System in New Yorkâat the center. Through the partnerships, the hospitals get more patient traffic, and Oscar attracts more membership from patients who want access to those systems. Company officials are operating under an "if you build it, they will come" philosophy, with membership gains, seamless patient care and engagement, and underwriting profits as the primary goals. They believe profit will follow naturally in time. While other insurers that rely on tight networks have run into legal issues and consumer complaints, Oscar officials say they aren't worried. "We believe that we don't need to have every doctor, every hospital. You need to have good doctors, and good hospitals that will attract people," said Joel Klein, Oscar's chief policy and strategy officer. Pricing, efficiency and time Oscar began shifting its strategy toward relying on narrow networks in 2016, when it announced that it would cut its New York provider network in half in 2017, removing some major health systems in the state to get a handle on its costs and improve the efficiency of its operations. About two-thirds of members opted to stay with Oscar after it narrowed its network. The altered strategy has helped financially. Its historically high administrative costs have come down by a double-digit percentage, Oscar CEO Mario Schlosser told Modern Healthcare in a recent interview. Its medical loss ratio, which represents the percentage of premiums spent on medical care and quality improvement activities, has far exceeded that of veteran insurance companies, at 95% in 2017, but it's come down from over 120% in 2016. Schlosser said Oscar's 2018 health plans were priced so that the MLR would wind up somewhere in the 80s, more in line with its peers, though he wouldn't give a concrete projection. Schlosser blamed Oscar's high MLR on the instability of the individual market and the failure of the federal government to pay the full amount owed to plans under the ACA's risk-corridor program, which expired at the end of 2016. At the same time, Oscar's processes were inefficient. It previously didn't build out its own provider networks in every market. In New York, for example, it contracted with MagnaCare to rent out a network, which meant much higher unit costs and less control over referral patterns, Schlosser said. Oscar was also outsourcing claims processing until February 2017, when it started paying claims in-house. Finally, Schlosser said his team needed time to build out its unique model and find the best way to deploy it. That model is one that pairs a high-deductible health plan with free telemedicine and low-cost primary care, and a narrow network including one or more major hospital systems in a region. "It took time to perfect the model," Schlosser said. "We feel like we have a good handle around this now, and we also feel like we can run a playbook in new markets that is much more systematic than what we were able to do in the past." Partnerships are key Oscar has partnered with Tenet to serve members in San Antonio, Providence Health & Services in Los Angeles, and Mount Sinai and Montefiore in New York. More recently, it has partnered with HCA and Ascension to serve members in Austin, Texas and Nashville. Oscar also developed a joint venture health plan with Cleveland Clinic in Ohio, where it enrolled 11,000 members for 2018, and partnered with Humana in Tennessee to sell small business plans. Oscar has already mapped out where it will expand in 2019 and will finalize its expansion plans for 2020 in the next six months. The company, which expanded to six states from three in 2018, will move into four or five new cities per year, Schlosser said. It isn't lost on observers, however, that Oscar is rapidly growing its footprint even though it hasn't yet turned a profit in a market that hasn't been very friendly to health plans. The insurer recorded a $96 million loss across its three states in the third quarter of 2017, compared with a $128 million loss in the same states in 2016. Oscar did record a $4 million underwriting profit in the third quarter, compared with a $36 million underwriting loss in the same period during the previous year. Fourth-quarter results are not yet available. Oscar executives brush off the losses as the cost of developing the first health insurance platform that consumers actually want to use, which is their goal. "We're trying to build out a different kind of experience for our membersâin other words, we are not trying to replicate what major insurance companies do," Klein said. "We are trying to build out a tech-driven platform that enables people to actually see us as the entry to the healthcare system. In order to do that, you've got to invest heavily in technologists, data scientists, people who really can put in the time and energy to build it up." Savings will surface over the long run, he said. Oscar chooses its provider partners based on quality and cost, and its markets based on whether it can find the right kind of partner. Of course, not every provider is willing to sign on. But those that do receive an influx of Oscar's members in return. "We're talking about a city like San Antonio, where we've got close to 65,000 members. That's almost two-thirds of market share. Tenet down there is cognizant of that. That's a big part of their business," Klein said. Oscar's members trade a broad network with lots of doctors in exchange for fewer doctors, but easy web-based scheduling and a personal concierge team to help them navigate the system. The members are on the hook for the whole cost if they seek care outside of Oscar's narrow network, except in emergencies. Oscar is hardly the only health insurer using narrow networks to lower costs, nor is it the first insurer to pair up with brand-name health systems. "Narrow networks are very common in this (individual) market," said Chris Sloan, senior manager at consulting firm Avalere. "'Narrow network' gets thrown around a lot as intrinsically a bad thing, but it doesn't have to be. If you have a narrow network of high quality providers and your patient can get into see them, and they have systems in place to improve continuity of care â¦ then they can be good and drive better patient care and outcomes." A November analysis by Avalere found that 73% of the plans offered on the public exchanges in 2018 have narrow networks, while 27% are PPOs or point-of-service plans with broader networks. "This market has been very difficult for health plans to make a profit and manage their population and control costs, and one way to control that is to shift toward narrow networks," Sloan said. Other insurers that have relied on narrow provider networks have run into network adequacy issues. Managed Medicaid insurer Centene, which is also the dominant insurer on the individual exchanges with 1.6 million members, has managed to turn a profit in that market in part because of its narrow networks. But St. Louis-based Centene's Washington state subsidiary was fined $1.5 million in December after more than 140 consumers complained to the Washington commissioner's office about having trouble finding in-network providers and the surprise medical bills they've received because of the inadequate network. Oscar isn't worried about that. "If you narrow a network and hurt your members, that's like a bait-and-switch kind of game. We're far from that," Klein said. "We've got some of the most sophisticated data scientists and analysts doing really powerful work on adequacy, not just legal adequacy but member adequacy." Correction: An earlier version of a chart in this story misstated the 2017 medical loss ratios of some of the insurers. This error has been corrected. An edited version of this story can also be found in Modern Healthcare's Feb. 12 print edition.